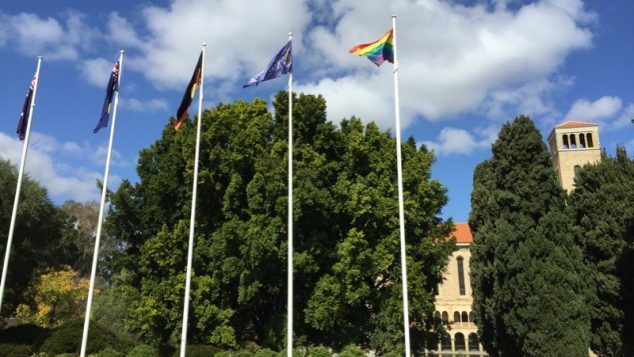 The University of Western Australia has retained its title as one of the most inclusive workplaces for LGBTIQ+ people. The 2018 Australian Workplace Equality Index (AWEI) Employee Survey canvassed employees from around Australia on their organisation’s LGBTI inclusion efforts, to determine views on current initiatives, the impact within their workplaces and the overall message of diversity and inclusion. The survey was conducted by Pride in Diversity, ACON’s national not-for-profit employer support program for LGBTI workplace inclusion. The University of Western Australia maintained its Platinum Status on the index, appearing alongside other top employers including Lendlease, ANZ, Accenture, Westpac and the Commonwealth Bank. Heterosexual respondents comprised 76 per cent of the total, with gay and bisexual men comprising 9.2 per cent, lesbian and bisexual women comprising 6.7 per cent, and trans and gender diverse people comprising 1.5 per cent. Double the proportion of intersex respondents (65) responded in 2018 as opposed to 2017. ACON CEO Nicholas Parkhill said treating LGBTIQ employees well was good business. “LGBTI employees want diverse workplaces where they feel included and supported – it isn’t only a moral imperative, it’s also just good business,” ACON CEO Nicolas Parkhill said. “Fear of abuse or discrimination forces many LGBTI people to hide their sexual orientation or gender identity when they access health and wellbeing services, leading in many cases to an increase in anxiety or depression. “The work Pride in Diversity does in helping businesses as well as employees create more diverse and productive workplaces, is making real and substantial cultural change within Australian workplaces. 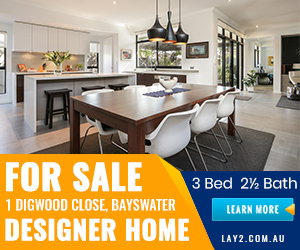 There is however, so much more work to be done, as evidenced by some of these results, to ensure all Australians can be themselves at work.” Parkhill said. The University of Western Australia found itself offside with LGBTIQ staff and students in recent weeks when it agreed to host a speech from US endocrinologist Dr Quentin Van Meter – who argues that transgender children are best treated by encouraging them to accept the birth gender. The University said it was proud to be recognised as an inclusive employer, but also acknowledged recent events presented new challenges. “The University of Western Australia is proud to retain our Australian Workplace Equality Index Platinum status as a top 10 employee for LGBTIQ+ people in Australia. “We are the only university to achieve this honour, which is awarded to organisations that have achieved top ten status in the past five years.” a spokesperson for the University told OUTinPerth. The spokesperson said the recent debate over when Dr Quentin Van Meter should be allowed to speak on campus was a challenge the university was embracing. “Over the past two weeks we have faced the challenge of reconciling a commitment to freedom of speech with our inclusive values as an institution. “We believe that universities play a fundamental role in informing public debate both within and beyond the classroom. Sometimes this means dealing with difficult and challenging issues, ideas, and viewpoints. Over the coming weeks, the University will engage in a series of discussions and forums on how we approach and reconcile these tensions. “While facilitating a discussion over freedom of speech, we maintain our commitment to safeguarding and promoting the wellbeing of marginalised communities and identities, both on campus and in our wider community. The question before us is whether this is best achieved by silencing some voices, or by building a robustly inclusive community in which such voices can be heard and critically challenged without undermining the wellbeing of those affected. We look forward to engaging in this discussion and exchange of ideas in an open and productive way.” the spokesperson said.